Size:Inquiries - by email Get ready for twice the zombie-soaking action withthe Dread shot blaster! 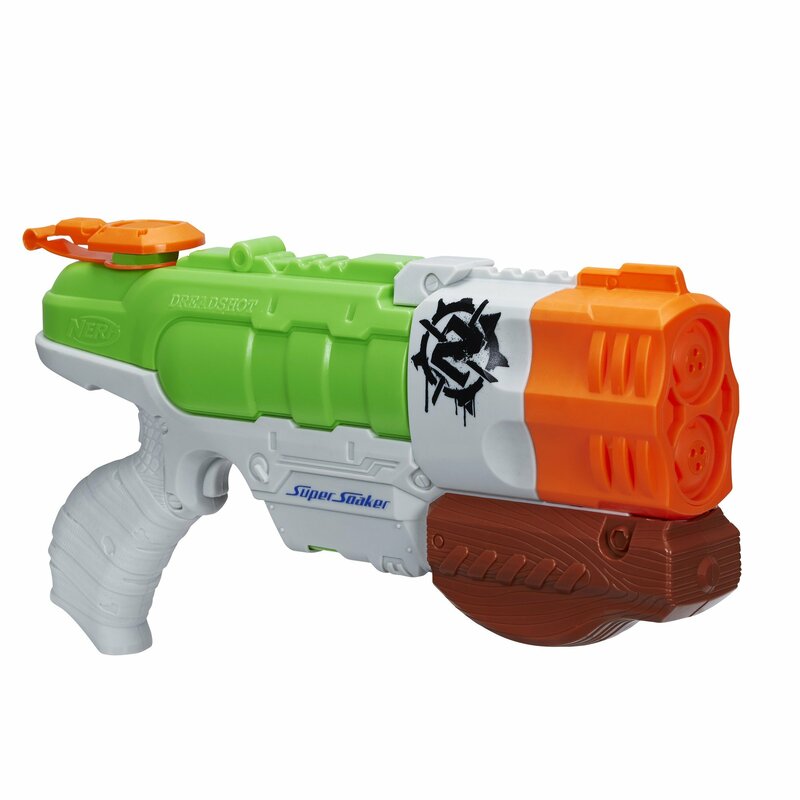 This one-handed blaster's 2 barrels let you launch adouble stream of water at the zombies! It can hold up to 24 ounces of waterand the water tank lights up for nighttime missions. Unleash a double-barreledattack at unsuspecting zombies up to 30 feet away with the Dread shot blaster!Nerf and all related characters are trademarks of Hasbro.